This Guide is intended for policymakers, policy advisors, project/programme managers and specialists. 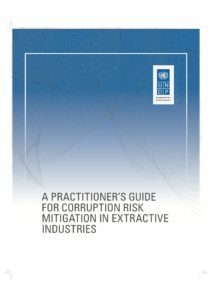 It is a useful tool to raise awareness among government regulators, anti-corruption practitioners and non-state actors who are interested in addressing corruption in extractive industries. 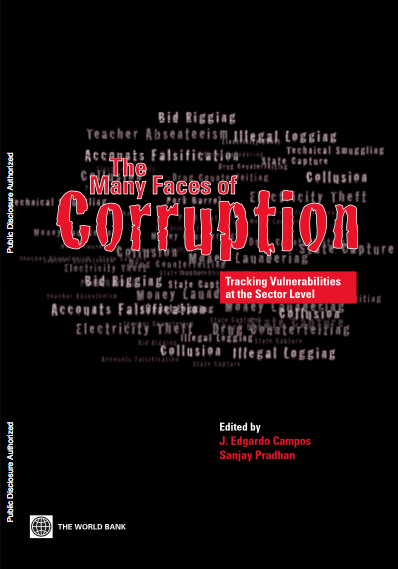 This publication aims to contribute to achieving the SDGs from an anti-corruption perspective. 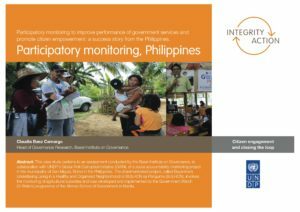 This case study is of a social accountability monitoring project in the municipality of San Miguel, Bohol in The Philippines. The assessment was aimed at furthering an understanding about the context-specific factors that enable the success of social accountability interventions. 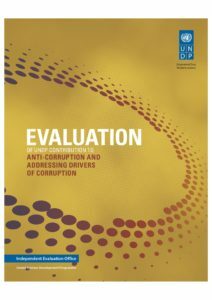 The evaluation found that while UNDP contributions have been important for enhancing anti-corruption policies and capacities. 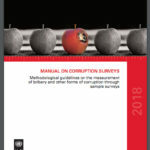 Their actual outcomes, however, have been dependent on broader governance capacities and evolving governance systems and processes, and inadequate judicial capacities in member countries, which have consequently limited the impact of anti-corruption initiatives. Opening up judicial systems fosters integrity and increases public trust without impeding independence of the judiciary. 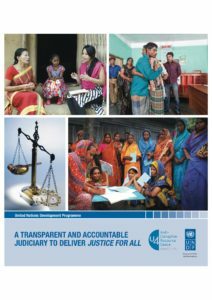 The report advocates for judiciaries to open up to peer learning by engaging representatives of other countries in capacity assessments to improve judicial integrity. It also encourages judiciaries to consult end-users, associations of judges and use new technologies to foster transparency and accountability. 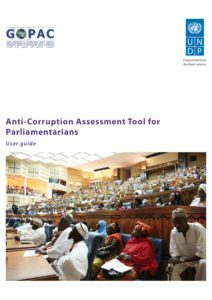 This self-assessment tool focuses on the role of parliaments in the fight against corruption and more specifically on the implementation of the provisions of Chapter 2 of the UN Convention against Corruption. It comprises a series of questions and checklists, answers to which will serve to identify gaps in the effectiveness of a parliament’s contribution to the implementation of the Convention. 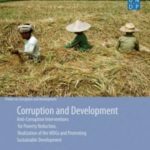 Asia Pacific Human Development Report 2008 – Tackling Corruption, Transforming Lives: Corruption is increasingly being challenged as unacceptable across Asia and the Pacific. This report shows why eliminating corruption that plagues people’s daily lives must become a priority. The police, social services, and environment are areas countries should consider focusing on. 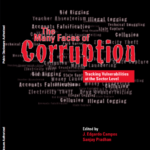 This primer explores the relationship between corruption and development including economic growth, poverty, human rights, gender, governance, human development, environment and sustainable development. 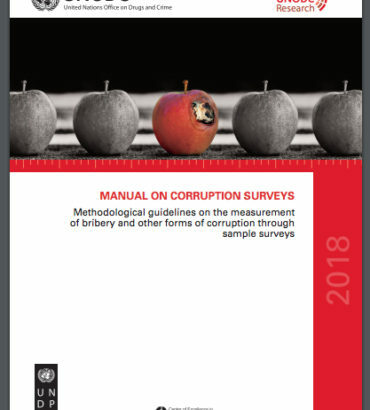 It considers how UNDP could integrate anti-corruption principles and strategies with its technical assistance to reduce poverty, realize the MDGs and promote sustainable development.